How can dream analysis further social transformation? Can archetypal theory promote responsible leadership in a democracy? What does Jung bring to the search for meaning in a technological age? 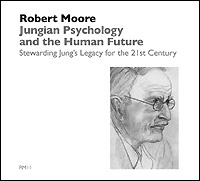 In this program, Dr. Moore discusses what he believes to be the elements essential to carrying forward Jung’s approach to theory and practice in the 21st century. Moore briefly addresses a variety of applications of Jungian thought to the arts of healing, spiritual practice, leadership, social transformation, and cutting edge developments of scientific psychoanalysis.